The new Palm is far smaller and simpler than an iPhone, and that's by design. Remember the Palm Pilot? This iconic gadget of the 1990s has returned, sort of. 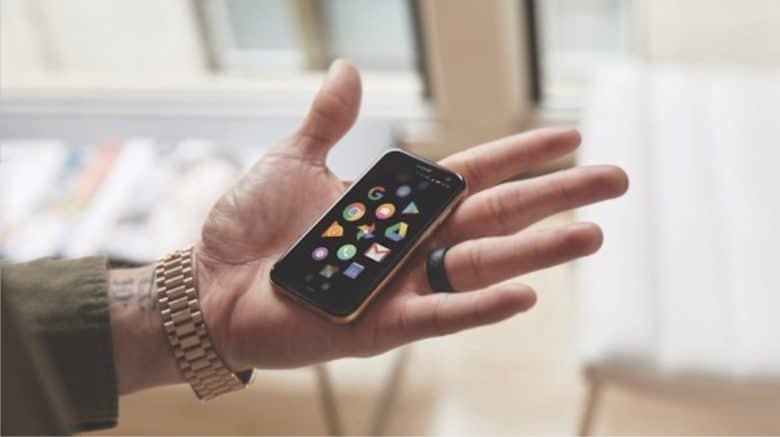 At a time when iPhone and its rivals have become big and powerful, Palm will be a small, simple smartphone that doesn’t demand as much attention. But its designers — including NBA star Stephen Curry — argue that a Palm isn’t a smartphone at all, though it looks and functions as one. Their concept is of a device that’s closer to an Apple Watch, and they’re even designing wrist bands for their product. And it won’t replace your iPhone, but work alongside it. Many people are becoming concerned that smartphones are psychologically addictive. Apple bowed to their concerns with Screen Time, a feature of iOS 12 that shows users much time their are on their iPhone, and helps them cut down a bit. The idea behind Palm is that someone will have a one of these small gadgets in addition to an iPhone or Android. It will be there if someone needs the functionality of a phone, but doesn’t draw attention the way a smartphone does. The user can leave their iPhone at home and just take the Palm. The first-generation model has a 3.3-inch screen, and runs a heavily modified version of Android, not Palm OS or its replacement, webOS. It’s designed to do only the basics. A highlight is called Life Mode because it leaves the user alone to have a life. The device will go on sale in November, exclusively from Verizon.It will cost $350 For $10 a month, this carrier will allow the Palm and an iPhone or another smartphone to share the same phone number. Time will tell if enough people think “less is more” to make Palm into a resurgent brand once again.